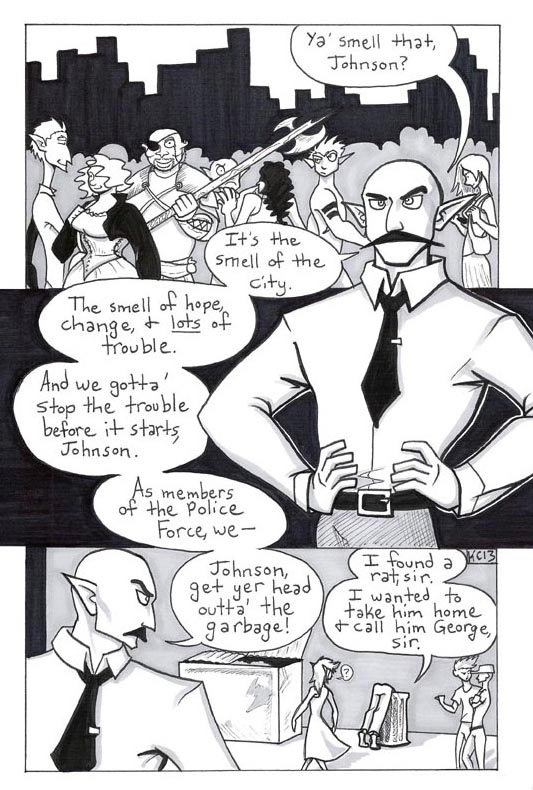 To all my new readers, welcome to Johnson & Sir, a webcomic about two elf cops in Fantasyville who keep the peace with the (often weird) citizens and each other. The transition to this site from the Tumblr account has been a long time in the making, so a big thank you to all of my fans from Tumblr for being so patient. Johnson & Sir updates every Monday, so please remember to bookmark this page. Also, feel free to leave comments! I will do my best to reply to them.